Today, Polisario filed a criminal complaint against French seafood producer Chancerelle for aiding and abetting Morocco in the transfer of its civil population in occupied Western Sahara, economic discrimination and false labeling. The French seafood Chancerelle group, producer of the brand Connétable, are selling fish products from Western Sahara on the EU market, labelled as "origine Maroc". This has now been challenged by Western Sahara's liberation movement Polisario before the office of the prosecutor in Paris which is especially in charge of prosecuting war crimes. The company has confirmed to operate a fish processing plant in Agadir, Morocco, for fish caught in Western Sahara. Last week, 12 September, the company furthermore announced that it would invest 4 million Euros for a fisheries processing plant in "Laayoune, in Southern Morocco". The news was mentioned in the French newspaper Les Echos. The new factory is to be 4000 square meters big. The CEO of the company explained to the newspaper that the sardines arriving the El Aaiun port is to be washed and put on ice before transportation to Agadir. The product would be labelled "from Morocco" even though it is evidently produced outside of the internationally recognized borders of Morocco, in Western Sahara. Chancerelle has stated that it already has agreements for supplies of fish 27 Moroccan fishing vessels to El Aaiún. It is not known who is financing the large upcoming investment on the occupied land. Find here a release from the lawyers of Frente Polisario, dated 18 September 2018. The Court of Justice of the EU in 2016 ruled that Western Sahara is a separate and distinct territory from Morocco. 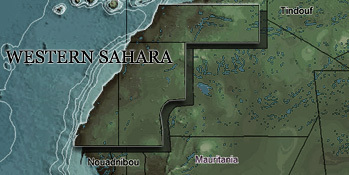 Polisario's lawyers stated that the French company's activities are in violation of article 461-26 of the French penal code which incriminates the participation, as author and accomplish, in the transfer, directly or indirectly, by the Occupying Power of parts of its own civilian population into the territory its occupies. The complaint, handed in at the office of the prosecutor in Paris, also includes the charges of economical discrimination for depriving the people of Western Sahara of their means of subsistence and falsification of the information of origin. Chancerelle was invited to respond to this article, WSRW is awaiting their comments. The EU and Morocco are currently planning a new fisheries agreement that applies to Western Sahara, even though the Court of Justice of the EU has ruled this would not be legal. The decision to start such negotiations were challenged by Polisario on 14 June 2018. The summary of this complaint, including all arguments for Polisario, was published on the EUR-Lex website last week.